Yong Hong specialises in “dry” shipping, commodities and trade finance. He is regularly instructed by major trading houses, transport and logistics companies, and banks in a wide range of contentious and non-contentious matters. As an advocate, Yong Hong has argued cases before all levels of the Singapore Courts, recently receiving praise from the Court of Appeal (full bench) in a 2018 judgment for his “candour and tenacity” in advancing his clients’ case. He is well-versed in international commercial arbitration, acting as counsel before various Tribunals seated in Singapore, Hong Kong and England (i.e. SIAC, SCMA, HKIAC, LMAA and LCIA). Having previously spent 18 months as APAC regional counsel in a US-based MNC, Yong Hong brings a unique client-side perspective to his practice. Clients appreciate his clear approach as well as his commercial and user-friendly advice on complex legal issues. 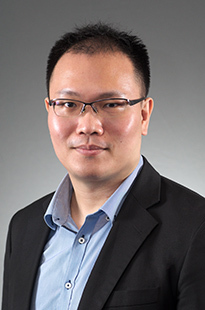 With nearly a decade of legal experience, Yong Hong’s expertise includes bills of lading, charterparty, ship sale and purchase, commodities trading, and trade finance (demand guarantee, letter of credit as well as loan facility and security) disputes. In the recent economic downturn, Yong Hong has seen frequent instructions from both banks and trade creditors to advise on and coordinate complex cross-border litigation arising out of the corporate insolvencies of major commodities players, bunkers suppliers and shipowners. His practice has also expanded to include disputes involving commercial / bank fraud. In addition to his busy contentious practice, Yong Hong regularly assists his clients in drafting and reviewing all manner of commercial documents, including sale contracts, charterparties, facility agreements and security documents. Lead counsel, acting for a Thai SOE, in a landmark 2018 decision by the full bench of the Court of Appeal on when court proceedings will be stayed in favour of a foreign contractual forum. Lead counsel, representing an unpaid seller, in Singapore Court proceedings to obtain a proprietary injunction, pursuant to a retention of title clause, to secure transacted goods (LME registered aluminum) valued in excess of US$3 million and/or their traceable proceeds. The matter involved arguments on issues relating to the seller’s entitlement to price under the Singapore Sale of Goods Act, similar to issues recently considered in the UK Supreme Court decision in The Res Cogitans  UKSC 23. Lead counsel, representing a well-established business consultancy company against a Chinese chemicals producer in an expedited SIAC arbitration in connection with disputes arising under a multi-stage consultancy agreement. Representing an oil trading company (SOE) in Singapore High Court proceedings involving claims, exceeding US$30 million, in connection with a deliberate circle-out transaction purportedly for the sale and purchase of crude oil. Issues include questions relating to the sellers’ entitlement to purchase price and potential banking / commercial fraud. Advised Singaporean sellers of urea in connection with a US$17 million claim brought against them by Indian buyers for alleged quality defects. Acted in LCIA proceedings for Chinese sellers in a US$5 million claim against Korean buyers in connection with the sale and purchase of steam coal. Acted for Singaporean sellers in Singapore Court proceedings to defend a US$1.3 million claim for non-delivery under a sale contract for iron ore fines. Advised a Japanese metals trading house on issues arising from the US sanctions against Rusal in 2018. Advised Singaporean sellers on issues of force majeure and frustration in a dispute arising from non-delivery under contracts for the sale and purchase of Indonesian coal after severe flooding in Indonesia in 2011. Contract review and preparing standard terms and conditions for trading companies. Representing a major Chinese bank in proceedings before the Singapore International Commercial Court in connection with claims arising under letters of support for breach of best endeavors obligations. The quantum of the claims exceeds US$170 million. Acting for a financial service provider, as owners of metals commodities worth more than US$300 million, in various Singapore and English Court proceedings arising in connection with forged warehouse receipts (purportedly issued in respect of clients’ commodities) put in circulation to obtain bank finance by third party fraudsters. Managing cross-border litigation (Singapore, England, Korea, China and Turkey) for a Singapore bank arising in connection with loan defaults by a significant metals trading house. The matter involved the investigation and prevention of complex banking fraud under US$ 16 million letters of credit (amongst other things, through obtaining a freezing order issued by the English Courts against the beneficiary) in addition to various recovery actions worldwide. Representing a major European bank in Singapore Court proceedings in a US$5.2 million dispute in connection with an indirect guarantee transaction (URDG 758) in which the client was the guarantor bank. Acting for a major Japanese bank to draft templates for accounts receivables purchase master agreements for general use in its transactions. Regularly advises leading European, Chinese and Japanese banks in relation to facility agreements, guarantees, letters of credit, bills of exchange and discounting and/or factoring agreements. Lead counsel, successfully representing Singapore shipowners in an LMAA arbitration in connection with the assertion of a demurrage time bar by the charterers. The appeal against the award led to an important English High Court judgment in The Ocean Neptune  EWHC 163 (Comm), further clarifying the interpretation of demurrage time bar clauses. Advising shipowners on multi-million-dollar demurrage claims and other matters arising in connection with prolonged waiting of their tankers off Yemen. Acted for a major oil rig operator in a US105 million claim brought in the Singapore Courts against the hirer of a rig for breach of its obligations in a rig hire transaction. Advised and acted for shipyards and owners in various newbuilding disputes, including a dispute in connection with owners’ right to refuse delivery of a vessel valued at US$110 million. Acting for Singaporean shipowners in an LMAA arbitration to defend a US$2 million claim by charterers for the alleged cargo contamination of a clean petroleum product cargo on board the shipowners’ vessel. Acted for Greek disponent owners to obtain an anti-suit injunction against Singaporean sub-charterers in connection with sub-charterers’ failure to pay sub-freights. Acted for shipowners to obtain an anti-suit injunction from the Singapore Courts to enjoin bill of lading holders from continuing Sri Lankan court proceedings in breach of a Singapore arbitration clause.